Build a Powerful Social Media Presence, For Free! The easiest way to customise a Facebook Page – no design or coding skills required! Everything You Need To Start Selling Online - Today! 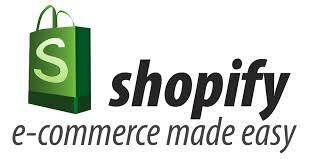 Use Shopify to easily create your online store. The easiest way to create customised business websites using WordPress. Great for high converting lead pages, sales pages and membership sites. Build trust with your leads and prospects – automatically! One click updates, automated backup and monitoring, keep your sites protected! Use scarcity based selling on any promotion. Create a free website with their professionally designed templates and easy to use website builder. The Marketing Clinic Your Own Personal Marketing Coach - At An Affordable Price!